Increased and improved sustainable production systems and diversified by 1,800 farmers and their families in the province of Cabo Delgado . The purpose of this project is to increase and improve agricultural production systems while strengthening the capabilities and skills of 1,800 farmers. 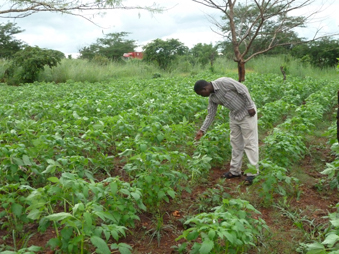 They receive training in fields centered model sustainable agriculture on their land then apply crop. Thus, the beneficiaries have practical training which are replicable and extensible benefits to their families. During implementation of the project has identified a greater variety of crops, such as cereals and horticultural products, positive changes in nutritional habits, a reduction of malnutrition-related diseases, increased crop quality and its period conservation and the introduction of a value added crops with jatropha and peanut butter.